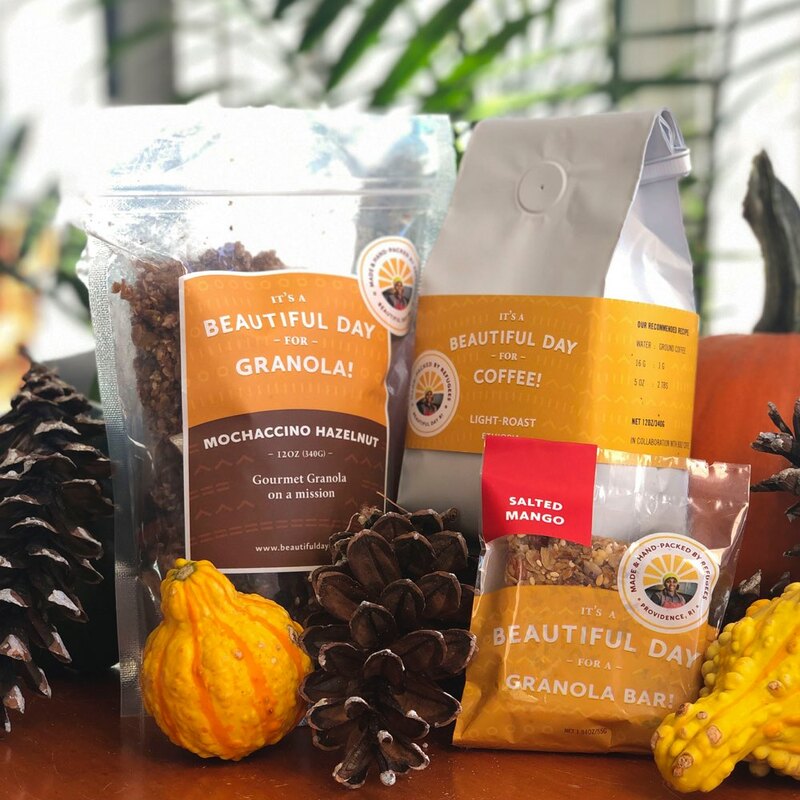 Beautiful Day Granola is food for the body, nourishment for the soul, and fuel for a more hopeful world. Our granolas and coffees were hand-crafted for you by refugees from places like Burundi, Iraq, and DR Congo. With every single bite or sip, you contribute to a job-training program that helps our community thrive. An expanded selection of granola, bars, and coffee for the holiday season. New this season: craft-roasted, fragrant, delicious. Ready to eat bars perfect for anyone who is on-the-go. A monthly subscription service: a perfect way to enjoy our granola and support our mission. Available as gifts. Your purchase directly supports our job-training and social integration programs. All our granola products are hand-made by refugee trainees from the freshest and mostly organic ingredients.